In my Rapid PT diet and lifestyle guidelines, I talk about the importance of controlling sugar and omega-6 fat intake, as well as making sure that you don't accidentally overeat. This is incredibly difficult if you don't know what's in your food. So, while I was testing out those guidelines I had looked for a place that would tell me everything about the food I was eating. Most of the sites I came across were only concerned with calories, which didn't give me data on my micro-nutrient intake. 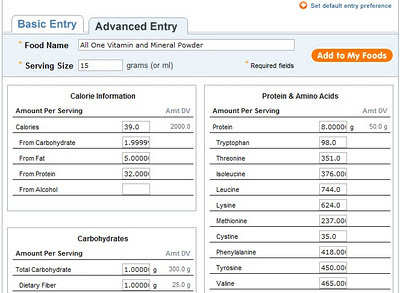 Then I stumbled across the amazing web site NutritionData.com. 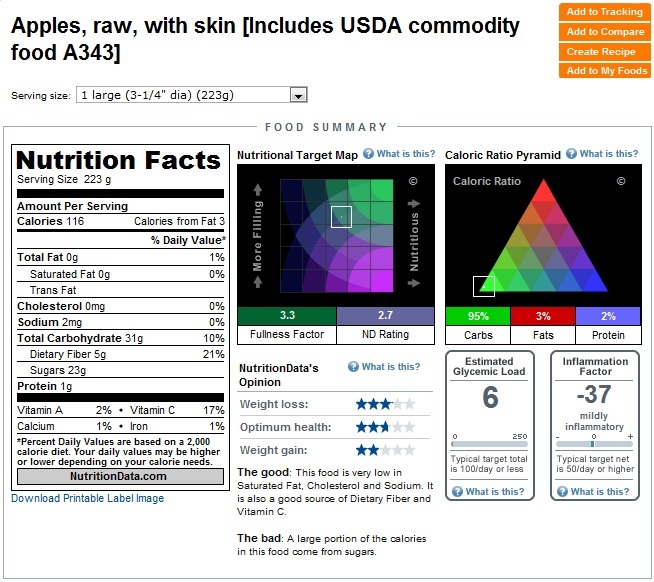 This site has a huge searchable database filled with typical food items like fruit, meat, and vegetables. It also has a pretty sizable list of junk and fast food items. 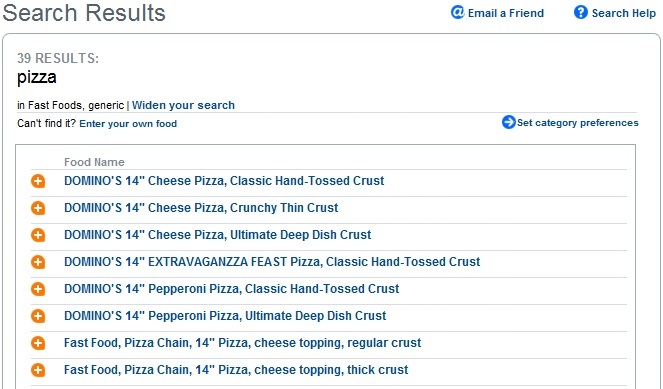 Here's the list you get when looking for "pizza." Once you find a food item that you want to know more about, this site will show you just about everything found in that food, from fat to carbohydrates, vitamin C to Betaine, and calcium to floride. It will even tell you how much ash is in a food. Here is the summary data for a large apple. 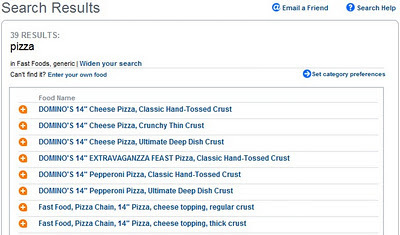 If you can't find a specific food, you can enter it into you the database yourself. I've used this several times to input the micro-nutrient values for my whey protein, multivitamin powder, coconut water, and raw milk. Once you have found all of the food items that you've eaten in a given day, then you place them all into the Food Tracking section. After you enter in your items, you can analyze the macro- and micro-nutrients you consumed. 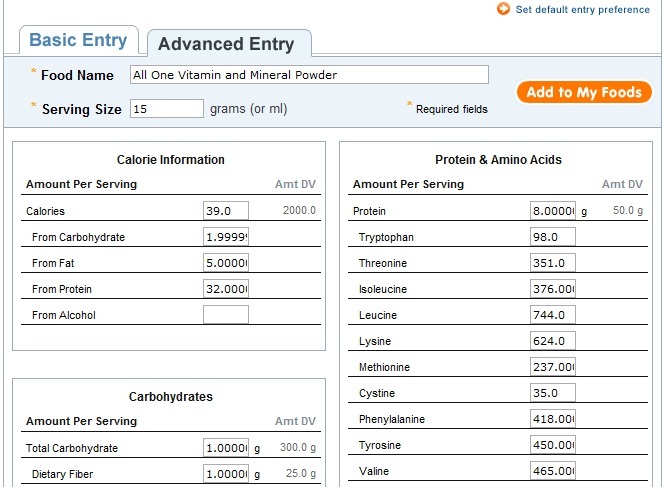 This is what I like most about this site: Not only do I make sure that my daily fat, carbohydrate, and protein intake is where I want it to be, I can identify any vitamin or mineral deficiencies. You should check out the site now, create an account, and find out exactly what you're eating! What is your macronutrient ratio goal (as percent of total calories), Bryan? Mine is >80% carbs, <10% protein, <10% fat. If you go by weight, please list the weights for each. 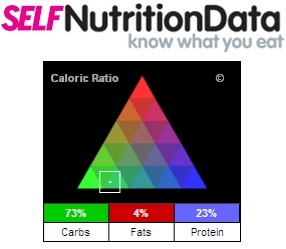 Currently, I'm split evenly 33% protein, 33% fat, and 33% carbohydrate.